The largest commercial real estate services and investment firm in the world, CBRE, choose Third Republic to supply the talent needed to digitally transform. With more than 450 offices worldwide, and clients in more than 100 countries, CBRE faced the challenge of undergoing a business-wide digital transformation in order to improve their internal competencies and their ability to deliver to customers and clients. In order to do so, they needed to build an architecture team who could support their digital journey and ensure long-term success from their transformations. With an interim team in place, it was vital that CBRE establish a permanent architecture capability. 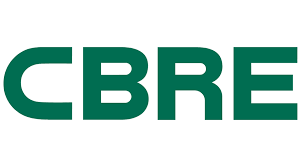 Unfortunately, due to a lack of understanding of the architecture market, their standard suppliers of talent were unable to deliver against their needs, and CBRE faced the prospect of being unable to get their architecture team up and running in enough time to drive the digital changes that were desperately needed throughout the business. Third Republic’s knowledge and understanding of the strategy and architecture market, and their access to unique pools of talent, meant finding an appropriate candidate for CBRE was a straightforward solution. Tapping into their community of top-rated and highly-skilled architects, with whom specialist architecture consultants had been working to build and maintain relationships with for an extended period of time, Third Republic were able to quickly supply CBRE with the CV of a candidate who met their needs. The candidate in question was immediately hired, evincing Third Republic’s ability to quickly and easily source vital candidates for clients who are unable to access this talent elsewhere. Thanks to Third Republic, and with their Director of Architecture in place, CBRE were able to continue building their permanent architecture team. Their digital initiatives were appropriately supported by this team, and their internal capabilities suitably transformed to support CBRE both now and in the future.